When your first real estate deal is the sale of a commercial property for $7.2 million, how can you not be passionate about real estate? “It was amazing,” recalls Jeremy Sposato, “but it was amazing because of the relationships I developed and the lessons I learned in the process. Working that contract through to closing reinforced the relationship aspect of real estate. Sales is all about relationships”. Born in New Jersey, Jeremy Sposato moved to Fort Myers Florida in 1986. As a business owner and an involved and active member of the Fort Myers business community, Jeremy has been a party to real estate transactions and investment opportunities since 2003. His hard-work has enabled him, his company, and his clientele to excel in the fast paced and competitive environment. Jeremy thrives on creating and maintaining relationships. It’s what has propelled him to success in his career, along with an entrepreneurial spirit that led him initially into the entertainment industry. Sposato contributed to the renaissance of The River District in downtown Fort Myers. At 23 he was credited with opening Club 1527 on Hendry Street and later Eddie Fishbowl’s on Bay Street. After a successful 5 year run in the entertainment industry it was time for a change from the “night life”, Jeremy sold his businesses in 2003 and turned his attention to real estate. In 2004, shortly after the sale of his original business, Sposato got his real estate license and opened up J. Roberts & Company. Later in 2005, he became a real estate broker. Since becoming licensed, Sposato has been involved with over 3500 new construction, commercial, retail, residential, REO, and Short sale transactions. During his time in real estate, there is not much that he has not dealt with. “My experiences in Real Estate has allow me to better serve the agents who work with us as well as the buyers and sellers our company represent,” explains Sposato. Sposato’s addition of Hyperion Title in 2006 created a more convenient real estate experience for both his clients and his agents. “Deals can be won or lost at the closing table”, explains Sposato. “I found it imperative to make sure that the person who is working on the closing is both competent and customer service orientated”. 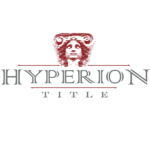 Hyperion Title currently has six offices in Florida and continues to grow. In 2012 Sposato co-founded HomSpot; a real estate software company that provides agents, teams and brokerages with website, lead generation, conversion tools and accountability reports. Jeremy worked directly with programmers to create superior mobile responsive website designs, conversion tools that encouraged client/agent interaction, workflows, email notifications, and overall functionality of the supporting software. The software is currently supported by IDC Global, a leading real estate technology firm who provides real estate technology to companies like Bershire Hathoway and Engel and Volkers. Giving back is important to Jeremy, he recently founded and is working to finalize his own charity Houses for Homes. Houses for Homes will allow real estate professionals to give back to their local communities. The charity will be funded by real estate professionals who sell “Houses”, to help single parents get into a “Home”, hence the “Houses for Homes”. Currently, Jeremy Sposato is the Owner & Managing Director of Sposen Realty & Development, your elite choice for Cape Coral new construction. For professional service and intelligent information on Cape Coral new construction homes contact Sposen Realty & Development or visit us online at SposenHomes.com.